About Real Estate Solutions Unlimited, Inc.
We are Real Estate Solutions Unlimited, Inc. — one of Southwest Ohio’s premier real estate companies. We’re a family-owned company who specialize in buying houses quickly in Dayton and throughout the entire Southwest Ohio area. Our focus is on house sellers who need to sell quickly in these areas, and especially on those who are facing complicated situations or have a house that may not be in great condition. 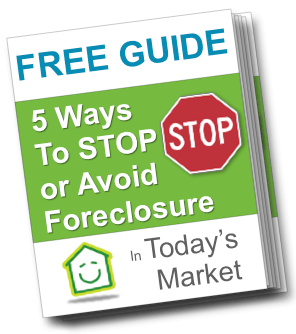 Whether you’re going through foreclosure, divorce, probate, or you own a bad rental property; and whether the house is vacant, in bad shape, or even uninhabitable… that’s okay. Many homeowners come to us worried that we might not want their house because of a specific problem they’re facing, or not sure if we can help them. But we’ve been doing this for over 20 years and have over 700 real estate transactions behind us so we are experts in helping homeowners no matter what situation they’re in. We provide win-win solutions to help homeowners get out of their sticky situations, and we buy fast and can put cash in your pocket quickly so you can put your real estate headaches behind you and get on with your life. We are Real Estate Solutions Unlimited, Inc. — a family owned business serving the Southwest Ohio area. As a family-owned business, we know the value of hard-work and integrity, and we’re committed to doing everything with honesty and transparency. And since we’ve been at this for over 20 years, and have completed over 700 real estate transactions, we’ve developed an expertise that allows us to serve just about every seller who needs to sell quickly. If you have any questions about how we work, what the process of selling a house or having us help you avoid foreclosure, or just want to learn more about us… don’t hesitate to contact us anytime! We’re family owned and that shines through in our interactions. You’ll find that we’re friendly and always willing to take a moment to answer any questions that you have.